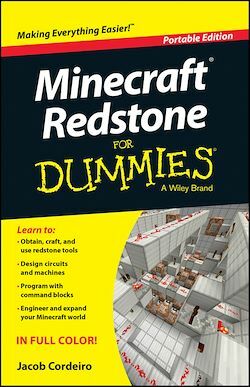 Minecraft Redstone For Dummies is the complete guide to finding, using, and maximizing the power of redstone in the Minecraft world. This key element is essential for crafting and brewing, and can be placed on the ground as redstone dust – a flat, transparent block that can transmit redstone power, the major component of most redstone circuits. Written by a recognized Minecraft expert, this useful guide walks you through mining, smelting, and other methods of obtaining redstone, and teaches you how to make the most of your redstone stores. Craft a compass, piston, lamp, or torch, brew a potion that reverts to Level 1, or turn it to dust to help find nearby power components. Whether you're in Creative or Survival mode, redstone mastery is crucial for successful gameplay.